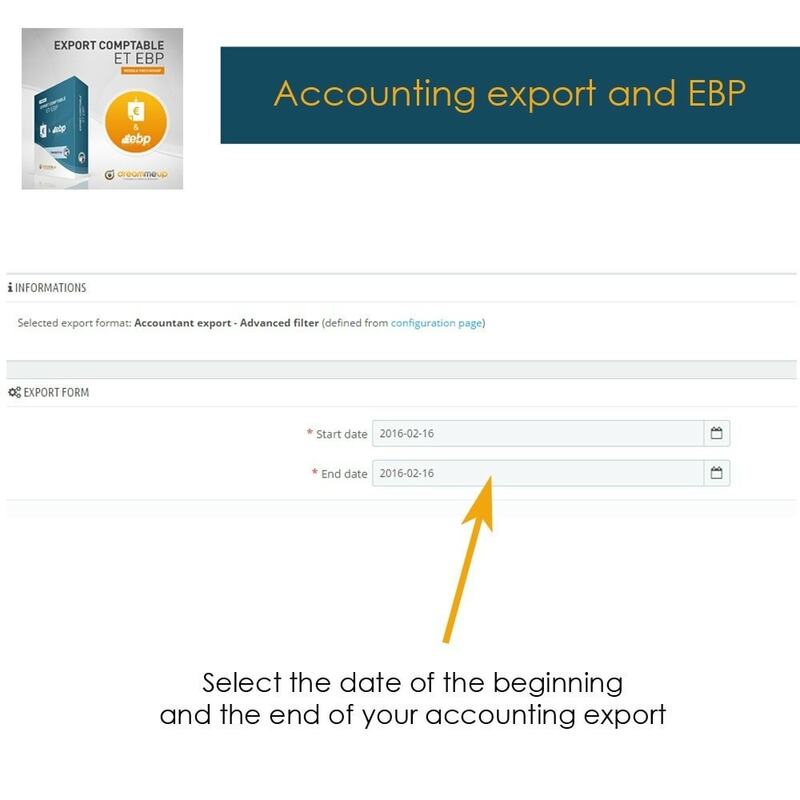 The CSV or EBP accounting export module will allow you to create a date to date file, directly ready to be imported into your EBP software or sent to your accountant in CSV format. 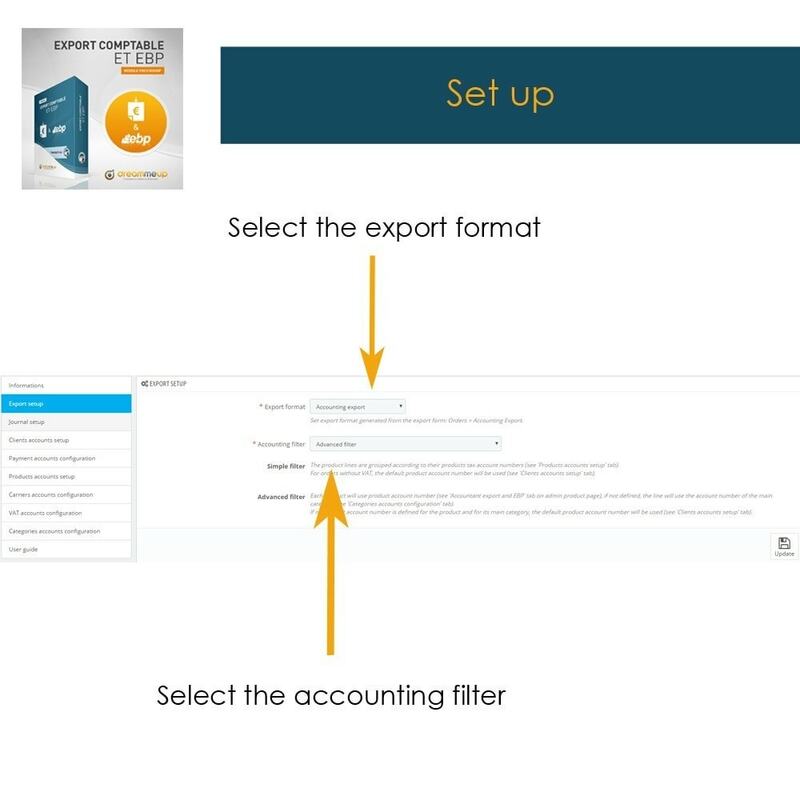 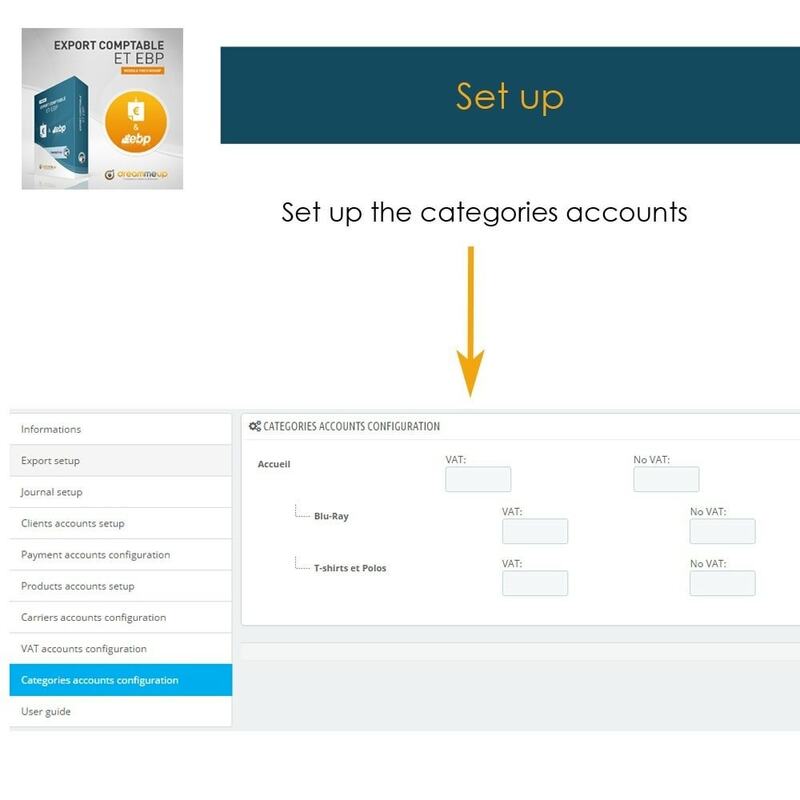 With this module, you save a very valuable time in entering your accounting entries on your accounting software. 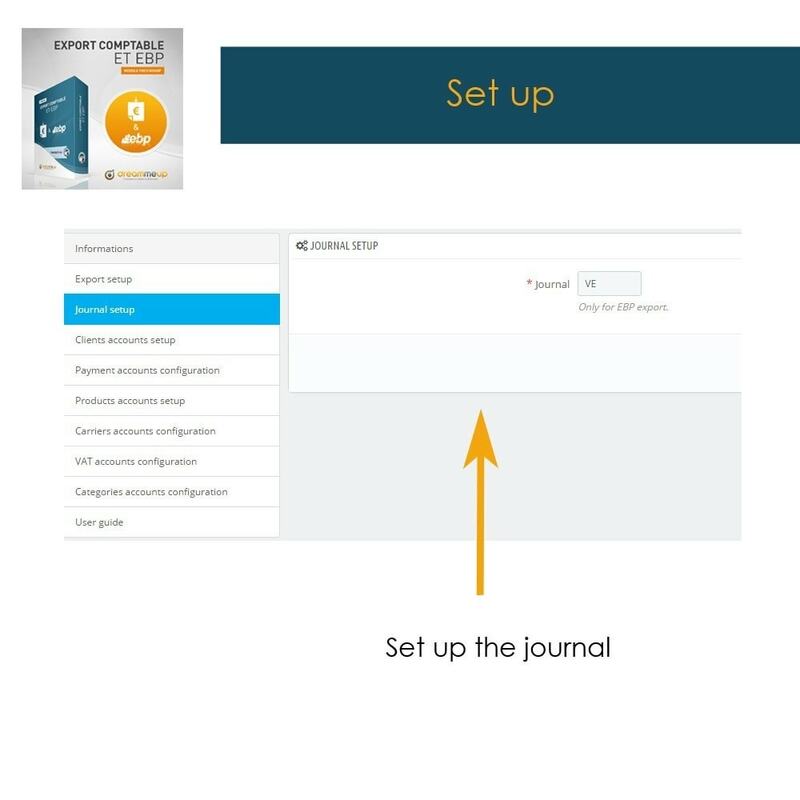 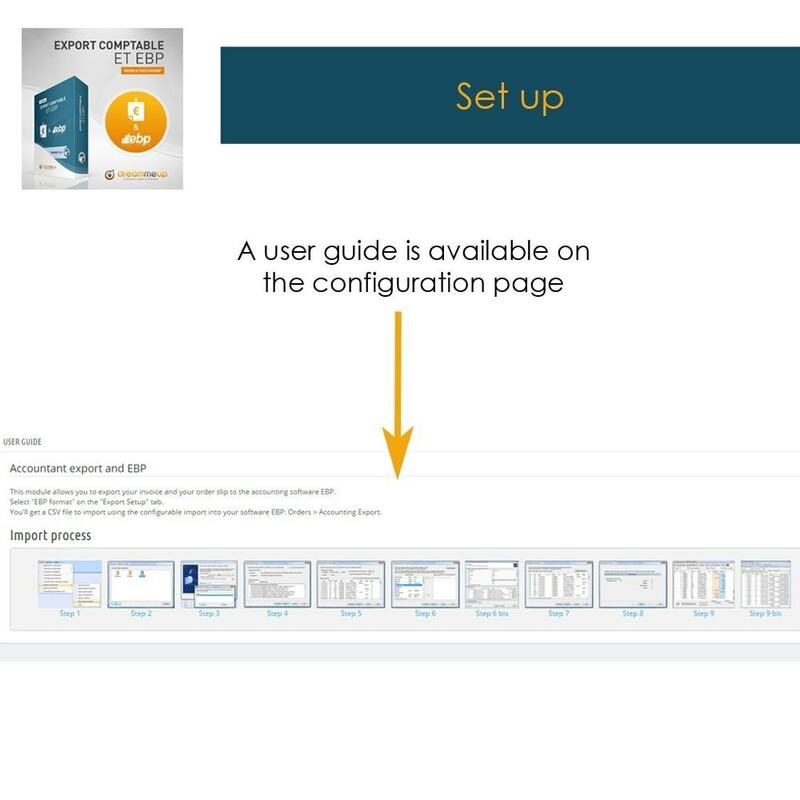 In a few clicks, you will automatically import several hundred invoices and credit notes into your EBP software or any other CSV software. 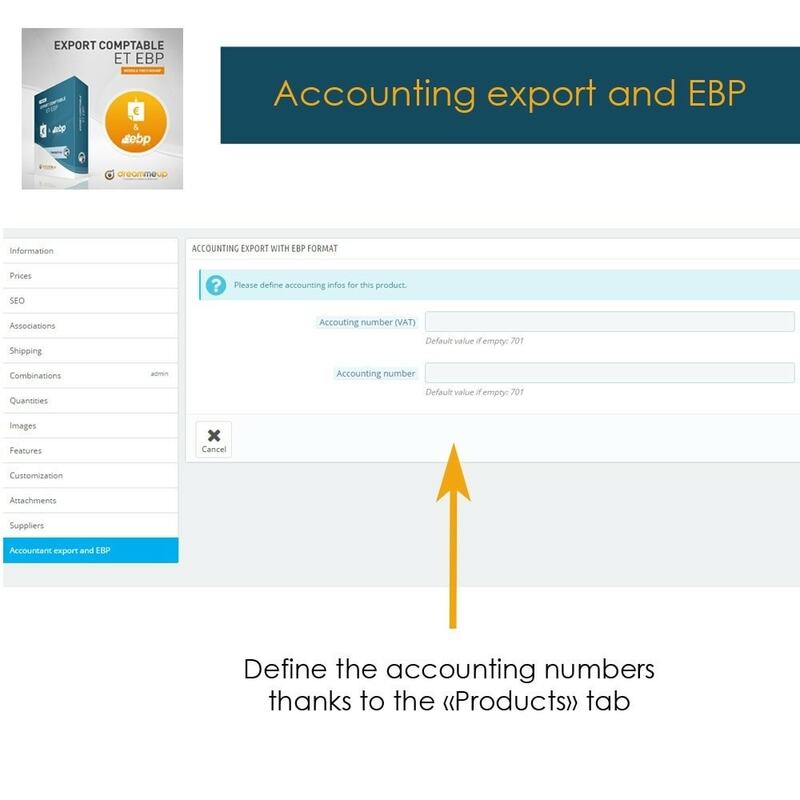 The EBP export works exclusively for the EBP Accounting, EBP Accounting and Billing software. 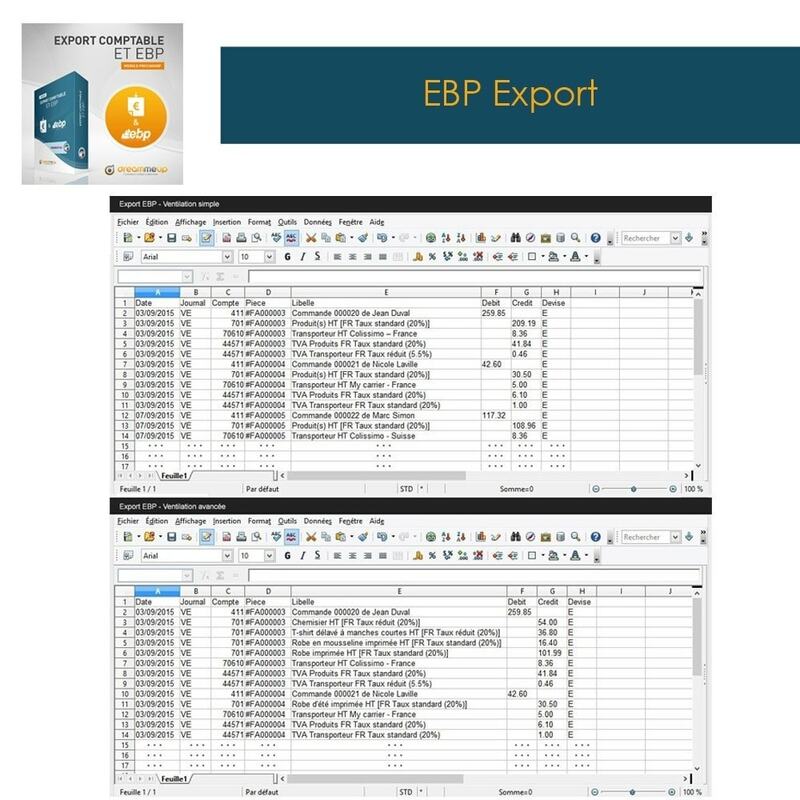 The EBP export is not compatible with the MAC versions or the online version. 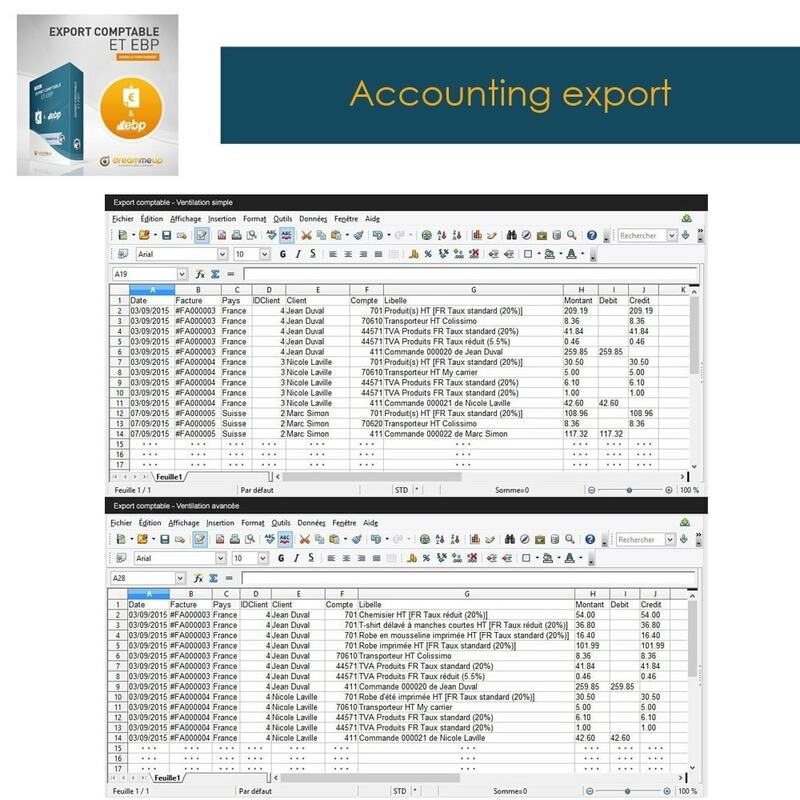 The classic cSV export is potentially compatible with all compatibility software allowing an import: Sage, Cegid, Ciel, etc. 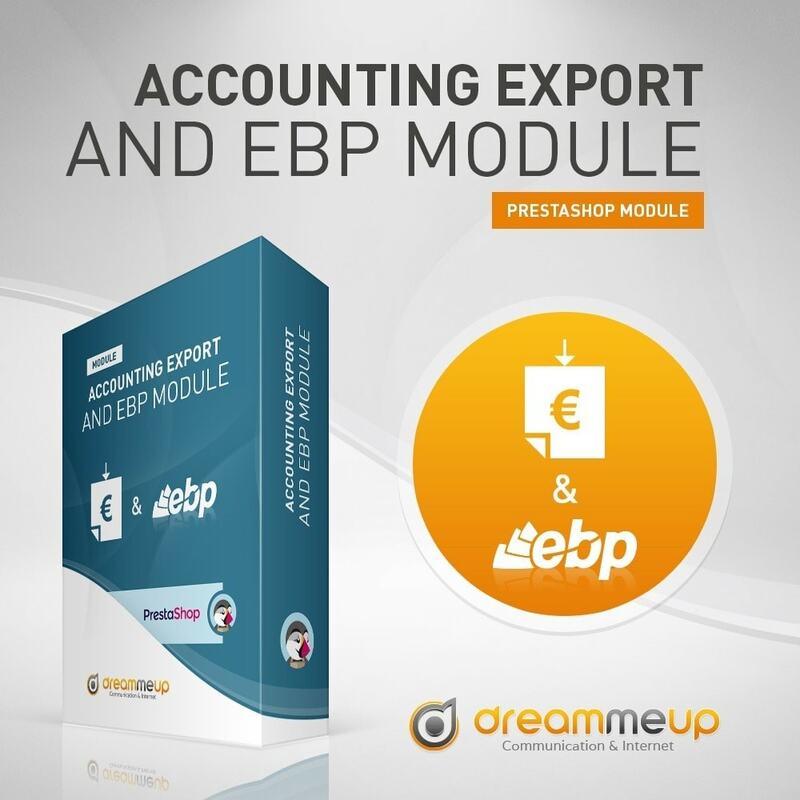 It is in no way a module for the commercial management of your products between Prestashop and EBP.